if your needing understanding and have the desire to explore the possibilities of what your life can look like, then how about taking a look at the direction your path is taking you now. She is the best. Always a pleasure. Nice reader She seemed in tune with my situation. I am a psychic reader who uses Tarot and Oracle to help guide you to find the answers you need in order to fulfill the progression of the human heart and mind and spirit. From time to time we all have questions that we need answered. Sometimes guidance is needed to make big life decisions as our world changes around us. Ask me questions about your love life, career or finances. I will look into the issue and give you an honest answer. I look forward to talking to you! Bella Sarai has been a user of Keen since 2010. 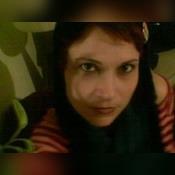 Getting Tarot Readers advice from Bella Sarai through www.keen.com is safe, secure and confidential.